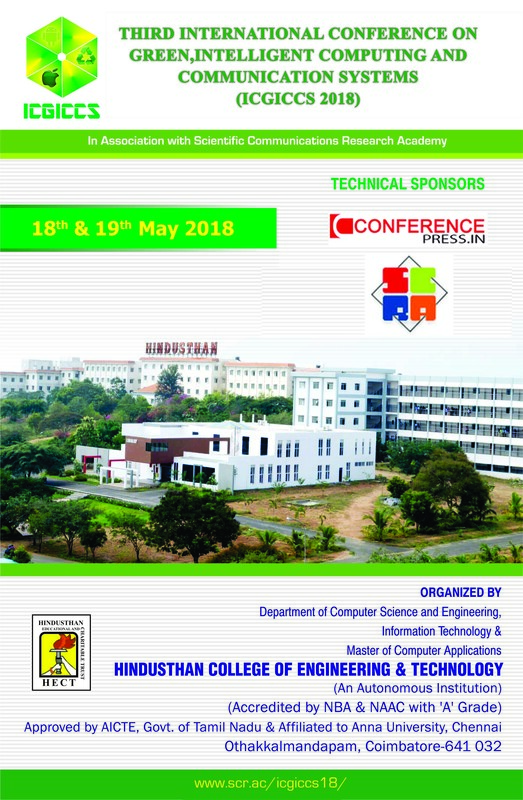 10th National Conference on Recent Trends in Soft Computing – NCRTSC’18. 3rd International Conference on Green,Intelligent Computing and Communication Systems- ICGICCS 2018. 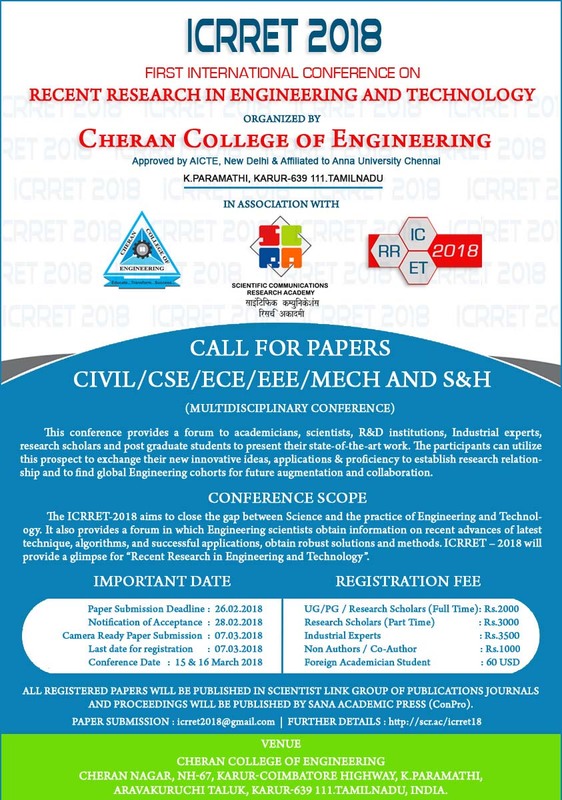 1st International Conference on Recent Research in Engineering and Technology- ICRRET-2018.